Beautiful? Maybe not. Scrumptious? DEFINITELY! 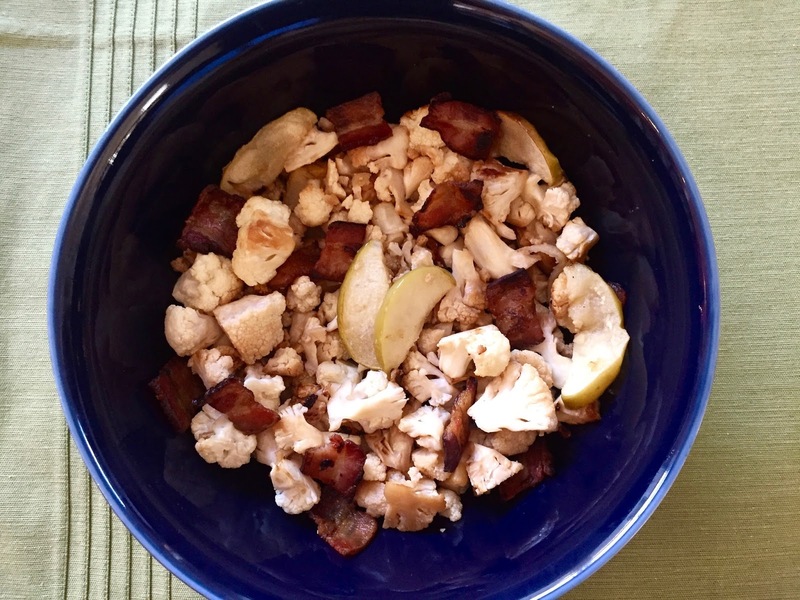 This tasty dish, seasoned only with white balsamic, intensifies in flavor with the added bacon and apples! Combined, they create a party on your palate! Preheat the oven for 400 degrees. Clean and cut the cauliflower into bite-size pieces. In a medium bowl, soak the cauliflower with the balsamic vinegar and let set for 15 minutes. Meanwhile, cut the bacon into pieces and thinly slice the apple. Drain the excess vinegar off the cauliflower and line cauliflower in a baking dish. Arrange the apple slices on top of the cauliflower and top it off with the bacon pieces. Place, uncovered, in the oven and bake for 45 minutes (or until cauliflower is tender and bacon is crisp.) Enjoy! If you'd like a printer-friendly version of this recipe, Click Here. "First, they'll ask you why you're doing it. I started using doTERRA Essential Oils a few months ago. When I came across this recipe, using my lavender oil, I just had to try it. Talk about refreshing! 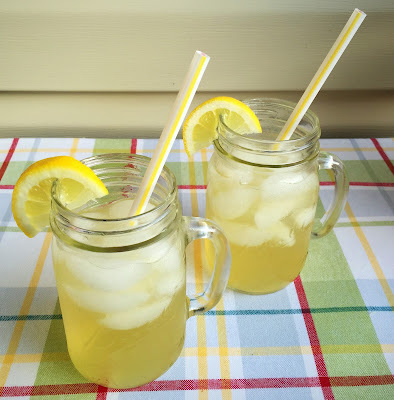 The tartness of the fresh lemons, the soothing taste of lavender, and the sweetness from organic raw honey make this drink top on my list! Juice the lemons and set aside. In a small sauce pan, heat 2 1/2 cups of water with the honey until honey has completely dissolved. Let cool slightly and pour it into a pitcher. Add remaining 2 1/2 cups water and 1 drop lavender. Stir and enjoy! If you'd like a printer-friendly version of this recipe, Click Here. A new twist on caprese salad makes this one refreshing summer dish! Note I didn't put how many of the strawberries and mozzarella to add to this delicious salad. That is because it can be totally left up to you! Some people may like a lot of mozzarella and less strawberries, while others prefer the opposite. Dice the strawberries and mozzarella into small bite-size pieces. Put 2 cups fresh basil in a food processor, along with 3 tablespoons of olive oil and a handful of almonds. Process until well blended and drizzle in about 1 to 2 tsp. balsamic vinegar. Combine basil mixture with strawberries and mozzarella, and you have yourself one amazing salad! Enjoy!